Issue 1 – Marvel’s Civil War: Big Premiere Issue! On this episode, the gang begs the question, What’s so civil about war anyway? 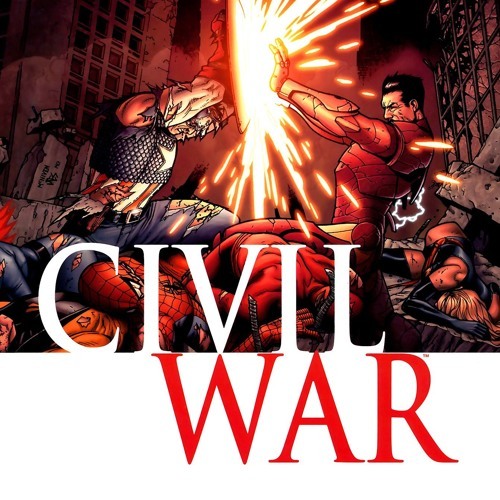 In our debut episode, the gang talks Marvel’s Civil War by Mark Millar and Steve McNiven, because what would a big summer event be without useless tie ins and… shoehorned merchandise? Like Joe’s new action figure with kung fu grip on the Punisher’s continuity, Sly’s with “angry mode” LED displays, or Ryan with detachable heart to give to any of your Spider-Man figures (not included). Or get the entire set in a new “trying to figure out anything about Black Panther” three pack! Collect them all!